Joseph Murphy develops and manages new investment advisory client relationships for Ingalls & Snyder in partnership with Roger Corrado. He joined Ingalls & Snyder in 2015. As an Ingalls & Snyder client himself for over 20 years prior to joining the firm, Joe understands well the quality of investment advice and attention the firm provides to its clients. Joe began his financial career at Chase Manhattan Bank in its Treasury and Capital Markets units, as well as in Chase Manhattan Futures. He then joined HSBC Bank where his roles included Executive Managing Director in North America and head of sales for HSBC’s U.S. futures commission merchant (FCM) business. Joe next joined Refco, LLC serving as the President of its FCM unit and as global head of sales. From 2008 to 2013, Joe was Executive Vice President and President of the Americas for R.J. O’Brien & Associates LLC overseeing marketing and business development in the U.S. and abroad. 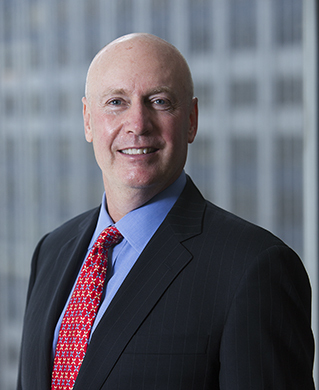 Joe has served as Chairman of the Futures Industry Association, Vice Chairman of the Chicago Board of Trade Clearing Corp. and as a Board Member of the National Futures Association. Joe holds a B.A. from Providence College and resides with his family in Hoboken, NJ.